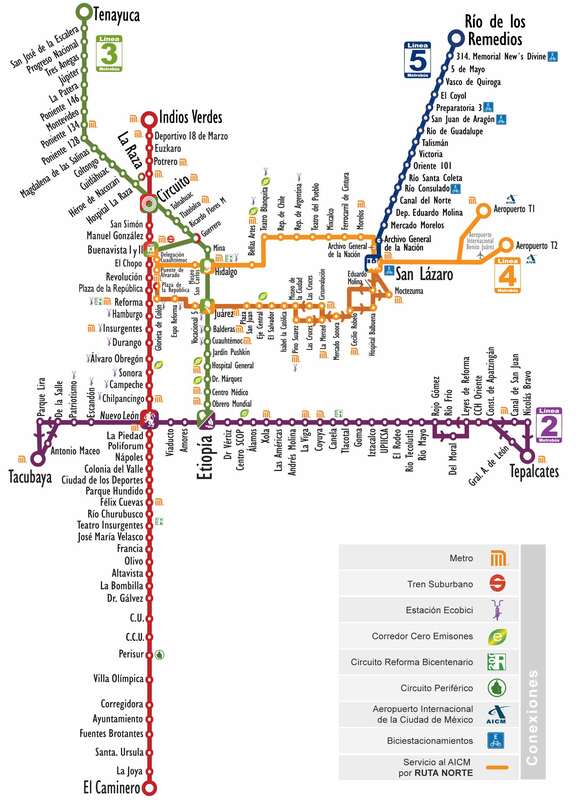 You can find on this page the map of Mexico city metrobus, the map of Mexico city mexibus and the map of Mexico city trolleybus. Mexico city buses are a transit system serving the city of Mexico (Mexico) with the subway, the urban, suburban & commuter train or the tram. 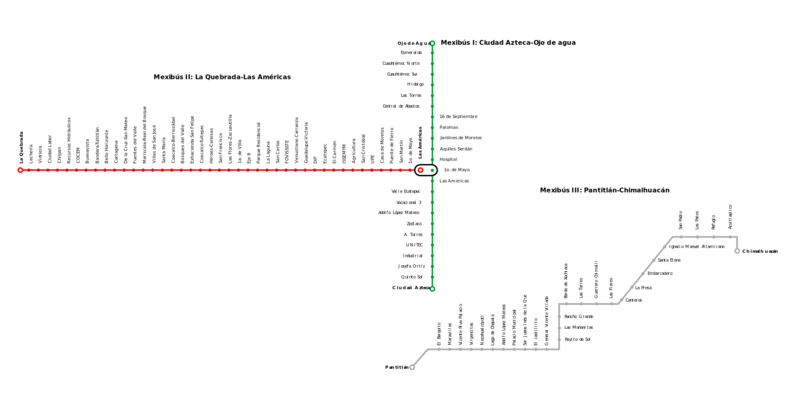 The bus, metrobus, mexibus and trolleybus network has 155 lines (94 regular lines, 5 metrobus, 3 mexibus and 8 trolleybus). The Metrobus network of Mexico city which transport 900 000 passengers per day, exist since 2005 and is operated by 9 different operators. 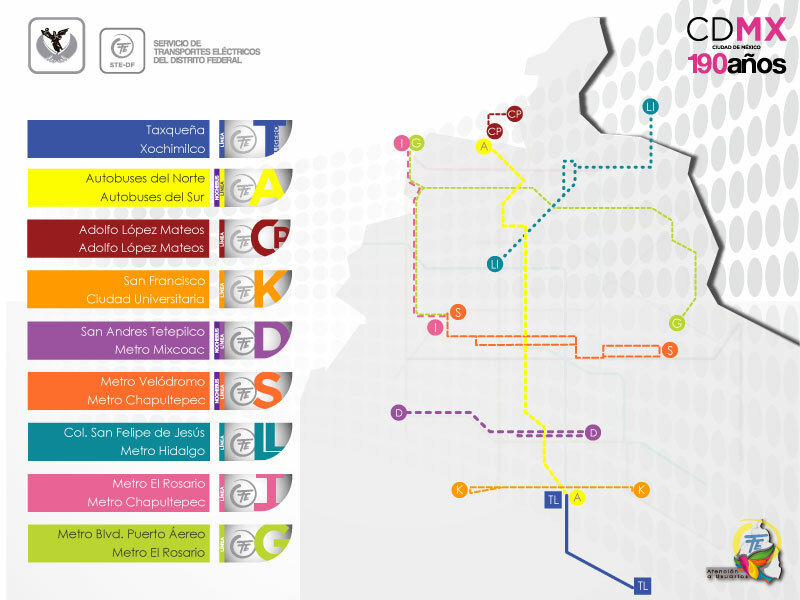 The Mexibus network of Mexico city exist since 2010 and is operated by 3 different operators (Transmasivo, Transcomunicador Mexiquense, Red de Transporte de Oriente).